Jim Lindsay is a principal researcher with AIR. Dr. Lindsay is a co-principal investigator on several projects, including REL-Midwest’s randomized controlled trial of a schoolwide adolescent literacy intervention and the evaluation of TNTP’s TEACh Initiative. He has also directed smaller studies on literacy, teacher preparation, and states’ efforts at estimating supply and demand of teachers. His professional experience has focused on examining the efficacy of interventions and policies by reviewing and synthesizing pertinent literature and by creating and implementing rigorous research methodologies to address the topics. Dr. Lindsay also serves as a certified reviewer for the What Works Clearinghouse. 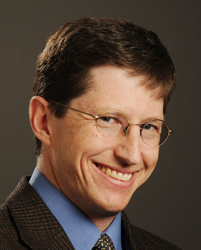 Previously, Dr. Lindsay was a research associate at the University of Minnesota, where he designed and managed a randomized multicohort, multisite intervention study in collaboration with human service organizations. He also has worked as an evaluator of publicly funded health care delivery systems and child-abuse prevention programs. Dr. Lindsay is the author of 17 articles and book chapters on several psychology and education-related topics, including the effects of homework on student achievement and alternative school calendars.